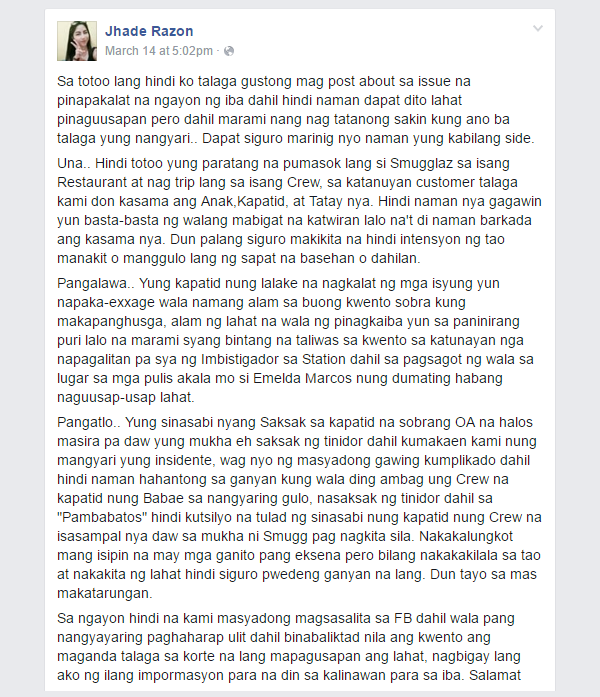 Fliptop battle emcee and rapper Smugglaz stabbed a crew of fastfood restaurant Mang Inasal with a fork, contrary to reports he used a knife. This is according to his girlfriend, Jhade Razon, who was allegedly given rude treatment by the waiter which angered the popular rap artist. 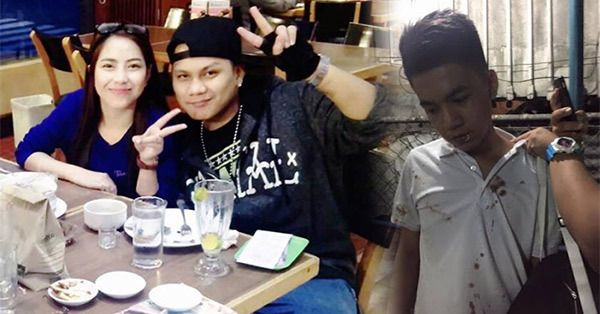 In a Facebook post, Razon said there's no truth to the accusation of the waiter's sister, Sharlene Bernadette Kim, that Smuglazz was only "tripping" when the incident took place. In fact, she said they were with his child, sibling and father at the time. She described Sharlene as OA (over-acting) and someone who acted like a very important person at the precinct. On the other hand, the alleged victim, Bernard Anthony Bantigue, reportedly sustained stab wounds in parts of his head and back. This was not independently verified. Reports said a deeper police probe is underway and Bantigue's family brought the case to court. 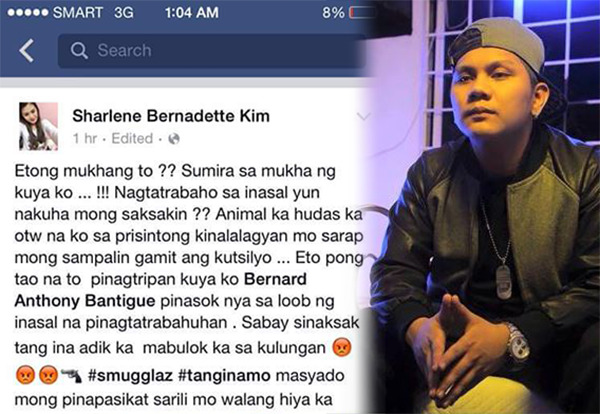 The Smugglaz issue has gone viral via social media earlier this week.